The destination Congo features a range of other wild life apart from Mountain and low land gorillas. The endemic Okapi coupled with Chimpanzees, elephants, Buffaloes, Rhinos, the Bongo antelope, lions, leopards among others combine to make the Congo Wildlife Safaris possible and memorable. Virunga National Park is the Prime Congo Gorilla Trekking destination positioned to the East of Democratic Republic of Congo and a re-known World Heritage site. Virunga is the oldest of all African parks and the most diverse of all parks on the same scale covering 7800km2 of savannahs, dense forest, swamps, active volcanoes, glacial peaks and lava plains. A quarter of the world‘s Mountain Gorillas thrive here. Besides the Mountain Gorillas, Virunga features other to Great Ape Species namely the Chimpanzees and Eastern lowland Gorillas. Other wildlife like Okapi an endangered Species close to Giraffe but resembling Zebra, the Hippos, the Lions, Elephants among others thrive in Virunga National Park. Accommodation in Virunga National Park is provided at Mikeno lodge while the Bukima Tented Camp can settle the Midrange and Budget travellers. Goma town is within reach and thus the Congo Gorilla Safari undertakers can opt to sleep in Goma. This is another Congo Gorilla Trekking Safari Tour site locates in the South Kivu Province close to Bukavu town in the East of Democratic Republic of Congo. The park stands as an expanse of primary tropical forest marked by two (2) fascinating extinct volcanoes namely Kahuzi and Biega. 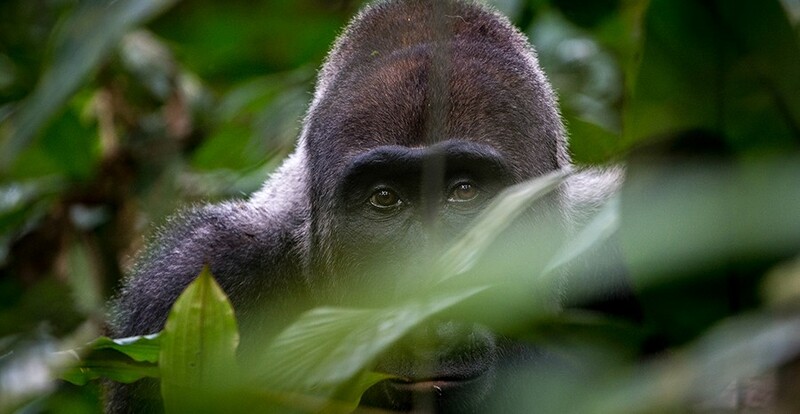 The Kahuzi Biega National Park found in 1970 by Adrien Deschryver – a Belgian Conservationist and Photographer is greatly known for its Eastern lowland Gorilla Trekking with one of the largest eastern lowland groups numbering 250 individuals thriving between 2,100 to 2,400m above Sea Level. The park also features a Chimpanzee Orphanage at Lwiro Sanctuary to care for the desparate chimps. In general, the Congo Gorilla Trekking Safari Tour site of Kahuzi Biega National Park features 1,178 species of plants, 136 mammal species and 349 bird species. 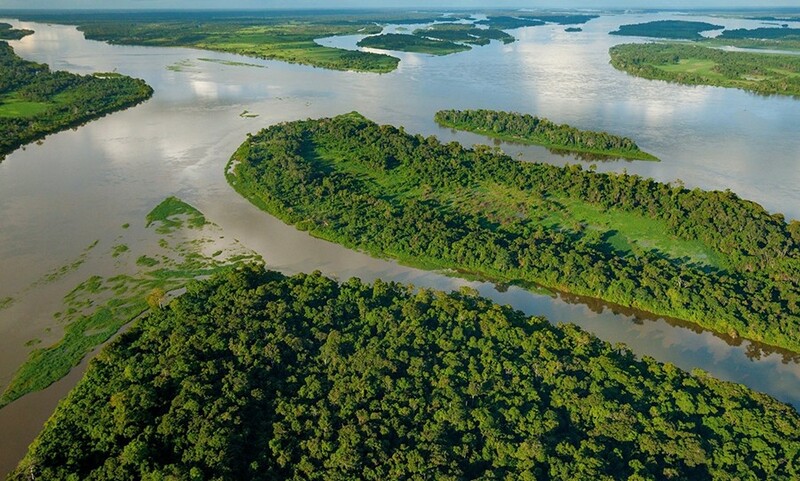 The second largest River by discharge after Amazon, River Congo is a magical wonder worth exploring. This Congo Safari site is also the deepest river in the world (220m) and with the length of 4,700km if measured with Chambeshi River becomes the 9th longest in the world. River Congo crosses the Equator twice and features a four (4) million square Kilometres surface area approximately 13% of the Africa’s landmass. River Congo has a drainage basin of 4,014,500km2 while discharge at its mouth stands at 23,000 – 75,000m3 per second. Nyiragongo Volcano is stunningly beautiful and inherently of great interest even to the geographical scientists and educationists. Standing at 3,470m as the second last in the eight Virunga Mountain stretching from Uganda through Rwanda to Congo, the Nyiragongo Volcano features the most violent lava lake whose notorious eruptions have made a name world over. At 20km from Goma town, the 2002 Nyiragongo eruption saw its emitted lava destroy the half of Goma town leading to loss of life and property. The return Climb to Mount Nyiragongo takes 2 days and accommodation is provided in the Mountain Shelter at the rim of the lava lake. The activity is conducted by the Virunga National Park and can be combined with Congo Gorilla Trekking Safari Tour. The travellers interested in Congo Gorilla Trekking Safaris have to be in possession of Congo Visa before embarking on the transfer to Congo. The Congo Visa Consular would require a letter of invitation which can be provided to you by the tour operator that is organising your gorilla safari in Congo. The Visa application should at least be two weeks in advance to allow enough processing time. The Climate of Democratic of Congo is generally the same all over the country though there is a slight difference between the northern and southern parts. Congo is crossed by the Equator – the world’s main latitude and features a dense tropical / equatorial forest jungle only second to Amazon in the whole world which combine to modify her climate. Generally, Congo features two seasons wet and dry alternating in four series per year. The dry months are from January to February and from May to September while the rainy season range from March to April and from October to December.